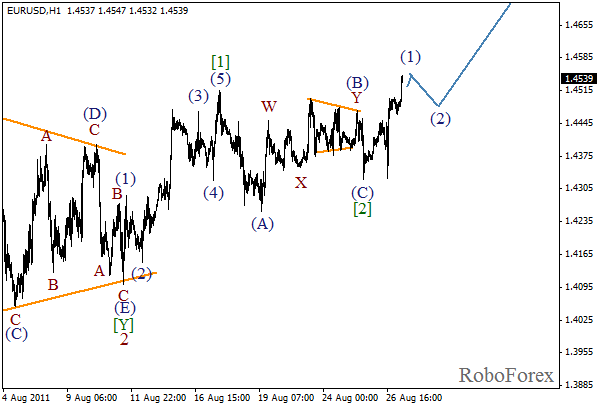 Wave (4) continues and takes the form of a usual zigzag pattern. Most likely, the price will reach a new local maximum during the day. After that, however, we can expect the continuation of the current bearish trend. 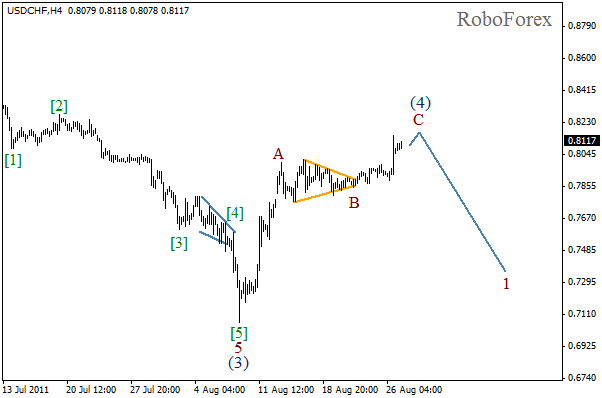 At the H1 chart we can see the formation of the fourth wave in wave C. This correction may be finished within the next few hours and wave  will start. 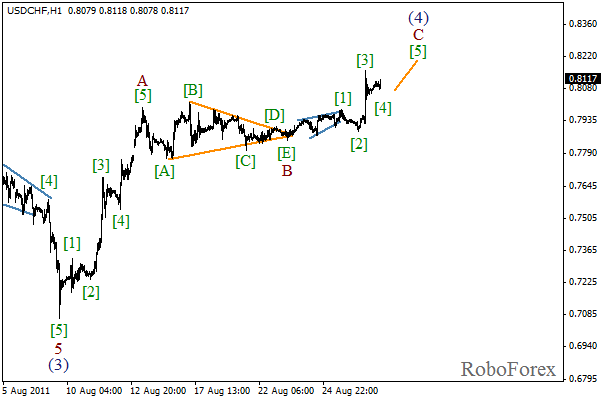 In the near term, we can expect the impulse in wave C to be completed soon. Today during the market trading opening the price has broken local maximum, thus indicating that the correction has been finished. Currently we can see the formation of the third wave. 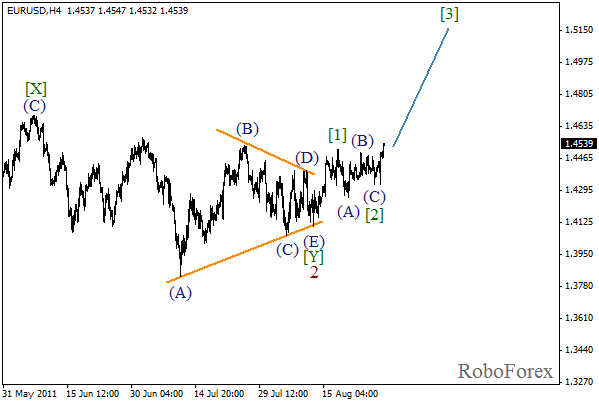 The target for bulls is to reach the level of 1.5000. The main forecast remains bullish. It looks like wave (1) isbeing formed inside the third wave. The internal structure of this wave let us suppose that it may be finished soon, so wave (2) may start during the day. After that we can expect the price to start growing again in wave (3) of .